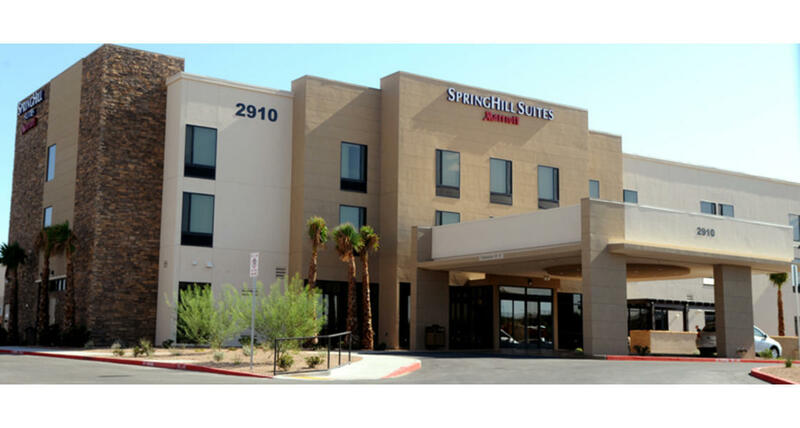 The SpringHill Suites Las Vegas North Speedway is just minutes from the famous Las Vegas Strip, Nellis Air Force Base and the Las Vegas Motor Speedway. With easy access to Interstate 15, you are minutes away from all of the entertainment and business you'll need to visit. Discover a different kind of hotel with style and space. You'll have the work space you need to get your business done or unwind and just be comfortable. Our stylish and smartly designed suites are 25% larger than a comparably priced hotel room, giving you the room to succeed and the comforts of home. Spacious studio suites are innovatively laid out, stylishly furnished and smartly designed. Enjoy complimentary breakfast buffet.